Extended stays in a city are the perfect mix of becoming part of the rhythm of a place, together with the excitement of everything still being fairly new to you. And if your time in the Netherlands has you staying in Eindhoven for more than a couple of days, then consider yourself lucky. There is plenty to see and enjoy in the Netherlands’ fifth-largest city. Here are some of our favourites. 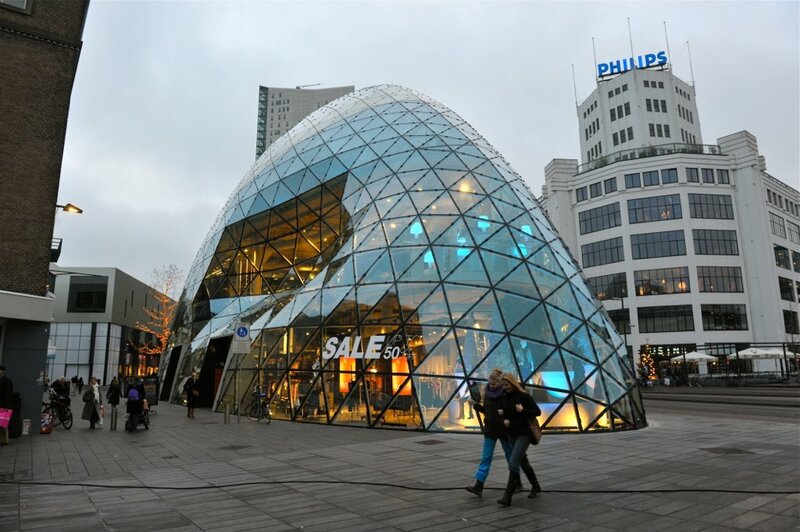 Eindhoven is known as the capital of Dutch Design and with good reason. Not only does the city play host each October to Dutch Design Week, the largest design event in northern Europe, but it also has a plethora of design studios, exhibitions, and themed city tours. Whether you decide to explore Eindhoven’s designer side on foot or by bicycle, a shot of creativity and inspiration awaits you. Not only known as the city of Dutch Design, Eindhoven is also known as the city of light, and each November the GLOW light art festival is held. Artists and designers from near and far use light to make art in and around the city. If you are lucky enough to have your extended stay fall during the month of GLOW, then be sure to grab a copy of the route and let the bright lights dazzle and entertain you. Eindhoven’s PreHistorisch Dorp is the perfect location to explore six historical time periods in the Netherlands, from Prehistory until the late Middle Ages. A visit – with or without kids – allows you to explore archeologically reconstructed buildings, play games, and allow history to come to life as historical residents tell you about life during “their time”. From early morning breakfast until that final cup of coffee at night, Eindhoven has plenty of opportunities to tempt the taste buds. No doubt you’ll find your favourites during your extended stay. To help you get off on the right foot, we recommend visiting the City Brewery (Stadsbrouwerij Eindhoven) and/or the Bottle Distillery. Bottoms Up! A short trip from Eindhoven city centre (15 minutes away), you’ll find the relaxing village of Nuenen. Enjoyable to visit of its own accord, Nuenen also has the added attraction of being the place where Vincent van Gogh, the famous Dutch painter, lived and worked from 1883 to 1885. Pass by the church where Vincent’s father was a parson/minister, see where his family lived, and experience what Nuenen meant to Vincent at the Vincentre. Tip: The famous Van Gogh-Roosegaarde cycle path based on Van Gogh’s painting of The Starry Night is on the outskirts of the village.